We are opening our doors during to DWP to let the community and prospective students see what PSUGD is all about. 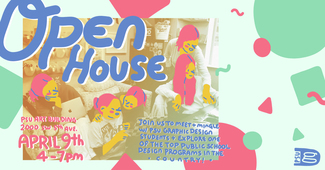 We will be showcasing sophomore portfolios from previous years, recent PSUGD design work, riso printing, light shows, and more! Work the instagram stories and posts! Make sure the stations are operating smoothly!